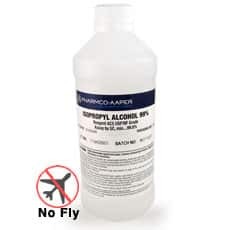 Reagent Grade Isopropyl Alcohol, 99.8%, 16oz. for sale. Buy from The Science Company. 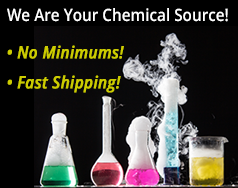 Our Isopropyl Alcohol, ACS USP/NF Reagent Grade, is a chemical grade of highest purity and meets or exceeds purity standards set by the American Chemical Society (ACS) and meets essential lab requirements. The contaminant-free purity is desired as a special-purpose solvent and laboratory reagent. Uses for Isopropyl Alcohol include titration of vegetable oil for fatty acids content in biodiesel production. 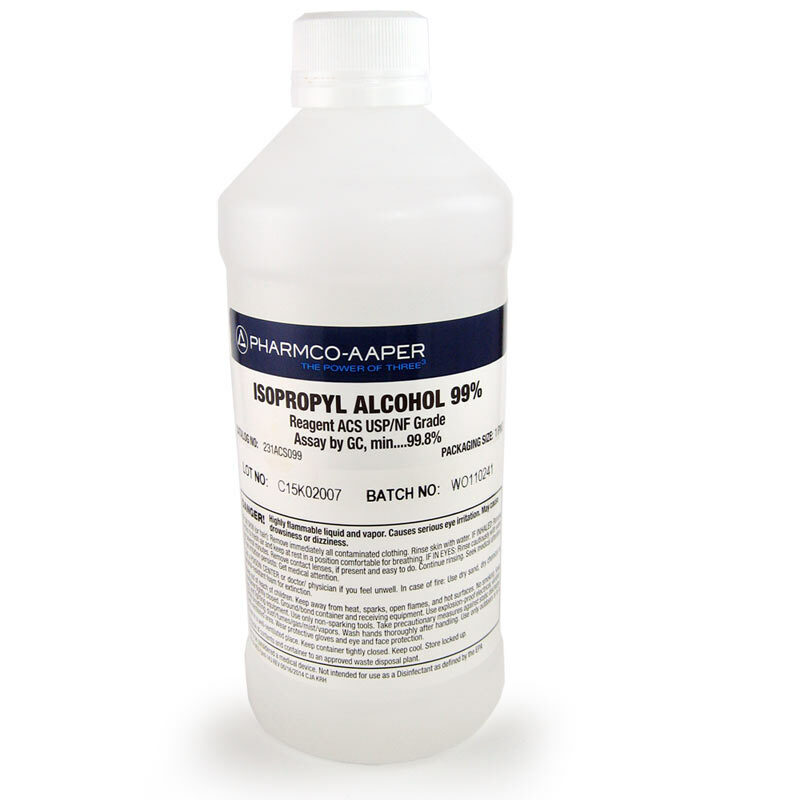 Isopropyl Alcohol is colorless with a strong not unpleasant odor. It is highly flammable with a very wide combustible range. It should be kept away from heat and open flame. Caution: Isopropyl Alcohol is flammable and a dangerous fire risk. Ships only to destinations within the 48 contiguous US states and Canada using Standard Ground. No air deliveries allowed.